We Kicked Off 30 Years of Business with a Great Open House! 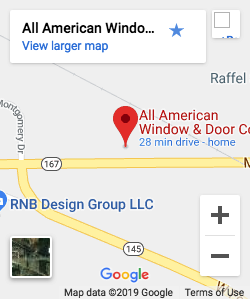 August of 2015 will mark 34 years of business for All American Window and Door and to start off our special anniversary year, we celebrated with an Open House. It was a great event with a great turnout. Friends, family and fans all gathered to celebrate with us. A highlight of the afternoon was the appearance of the five racing sausages. The kids had a blast meeting them and getting their picture taken up close with each of the sausages. 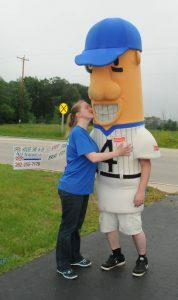 The racing sausages inspired us to give away a great tailgating prize – 4 Brewers tickets and a $25 gift card from the House of Homemade Sausage. It was a hit! A special thank you goes out to all our sponsors and supporters. We also want to thank the Racers Against Childhood Cancer (RACC) who conducted an excellent brat fry. All the proceeds went directly to that great charity. As always, we enjoyed talking with our customers and educating everyone on our great products. We are incredibly proud of Ben and Terri’s 34 years of business and all that they have accomplished. We can’t wait to see what the next 34 years has in store!